He was born and raised in Toledo, Ohio and the surrounding suburbs. Dr. Matt is a proud graduate of the Toledo Public school system wherein he excelled in academics. Following graduation from Start High school, he received his B.S. in Biology from the University of Toledo and he was pursuing a masters degree in cell and molecular biology when he was accepted into dental school. Dr. Matt graduated from the Ohio State University College of Dentistry in the top 15% of his class and began working at Walbridge Dental in 2002. He is married to Dr. Jody Freytag and they have two young daughters and a new son. Drs. Matt and Jody took over operation of Walbridge Dental in 2004. 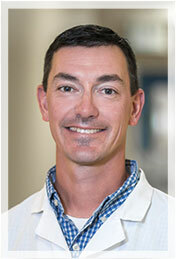 Dr. Matt enjoys spending time with his family, working out, teaching their dog new tricks and watching OSU football. She was born in western Pennsylvania and moved around on the east coast during the majority of her pre-undergraduate study. She excelled in academics and graduated from Windsor High School in Connecticut with honors. She went on to receive her B.S. in Biology from Cedar Crest College in Allentown PA, again with honors. Dr. Jody then moved to Ohio and received her D.D.S. from the Ohio State University College of Dentistry. Following graduation from dental school, Dr. Jody worked at the Teamsters Union hall and also for the Northwest Ohio Dental Center, providing care to those in nursing homes and assisted living facilities. 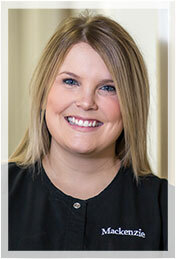 She joined Walbridge Dental in 2003. 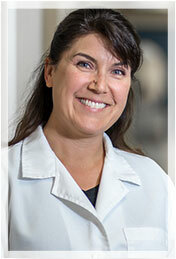 Dr. Jody also enjoys spending time with family, running and other exercise, and she is an avid reader. 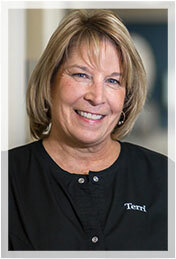 Terri has been a fixture of Walbridge Dental for over 30 years. She wears several hats: she manages the front office, schedules appointments and handles the financial aspect of your visit, including your insurance. When you call the office, hers is the first voice you'll likely hear. She is married, has an adult son and enjoys vacationing at Disney World. 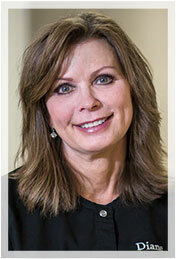 Diane has been a full-time hygienist with Walbridge Dental for over 18 years. She is a graduate of Owens Community College School of Dental Hygiene. She is married, has several pets and is known for having a passion for all animals. Diane is a fitness buff and exercises routinely. Mackenzie graduated from Ross Medical College in 2012. 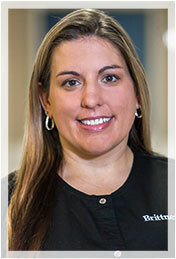 She completed an externship with our office as a dental assistant, and was promptly hired on as Dr. Jody's assistant. She is recently married and has a small dog named Sophie. 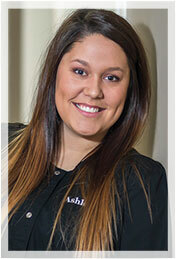 Ashley graduated from Ross Medical College in 2012. She completed her externship with our office, and has remained with us ever since. She is trained as a dental assistant, but also works in the front office as a receptionist. She has one young son. Brittney came to work with us in 2017, and is Dr. Matt's assistant. She has several years experience as an assistant, and is also adept at the front desk. Her smile and cheerfulness are a welcome addition and it's hard not to smile around her. She is married and has an active and energetic son and two dogs. Sam is a newer addition to our team. 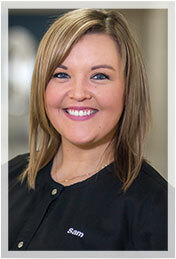 She officially joined our office in 2017, although she worked with us previously as a substitute hygienist. She is a graduate of Owens Community College. Prior to hygiene school, she worked as a dental assistant, and so has experience from both sides of dentistry, preventive and restorative. When you meet her, you'll find her energy and enthusiasm are infectious. She is married and has two dogs.